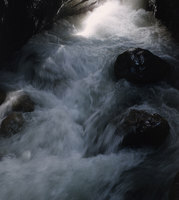 Photograph of waterfall, gorge, and baths. 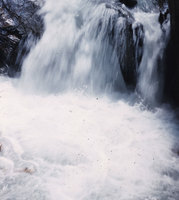 Photograph of waterfall and baths. 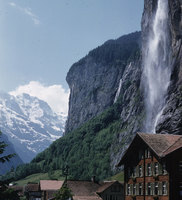 Landscape photograph of waterfall and valley.